Indoor gardening is both popular and economical. It also gives growers greater control over the plants they raise. Since seasons are less important to vegetables grown in greenhouses, those tending them are under less stress as to timetables and climate. All the same, some crop varieties lend themselves to this manner of gardening better than others do. Such vegetables find great success in terms of size, texture, flavor and abundance when they develop in a paneled conservatory. 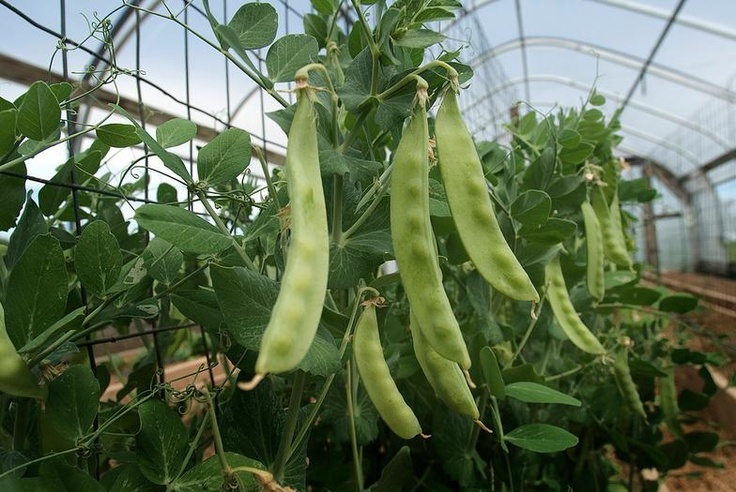 Although a wide variety of edible plants respond favorably to indoor husbandry, experienced gardeners note seven particular vegetables to grow in a greenhouse. Bell pepper consumption is skyrocketing in the United States, so much so that it imports them from five different countries. Much of the imported crop is greenhouse-grown. Known for a high presence of carotenoids, bell peppers come in a gorgeous array of colors: green, red, orange and yellow. They are also rich in Vitamins C and B6. Their crunchy texture and sweet/sour taste make them excellent complements to salads, stir fries and crudités. In many places, peppers are the best vegetables to grow in a greenhouse because their yields per plant exceed those grown in fields. They grow best in structures with high roofs that provide passive ventilation. As the warm air rises to exit near the roof, cooler air enters the lower section of the structure. Biologically a fruit, the culinary applications for the tomato make it one of the best vegetables to grow in a greenhouse. For those interested in fending off heart disease and cancer, the lycopene in tomatoes does it like no other antioxidant. Its origins in North America are argued, though a plurality credit the Spanish with the tomato’s arrival. Popular among greenhouse growers are the beefsteak, cherry and heirloom varieties. Commercial growers will frequently resort to “high tunnel” greenhouses to grow tomatoes in season and adopt passive ventilation. This strategy keeps costs low, eschewing the use of pumps and fans for temperature and circulation control. In so doing, gardeners reduce the risk of leaf diseases and pests. The benefits of cabbage and other leafy greens can not be overstated. It is among the best vegetables to grow in a greenhouse. In fact, regular consumption of cabbage is linked to lower occurrences of adult onset diabetes. With its abundance of flavanoids and phenols, cabbage also inhibits the probability of heart disease. Both red and green cabbage work well in soups, salads and slaws, and also provide tasty accompaniment to pork and chicken. Cabbage is best started in growing trays – and later transferred to tubs – with media consisting of two parts soil and one part compost. Add 1.5 inches of water to each tub every week (while allowing for draiange through holes at the bottom). Keeping greenhouse temperature below 80 degrees is important as cabbage is a cool-weathert vegetable. Veteran cabbage growers suggest using fresh potting soil with each planting. While it remains the constant bane of children’s dinner plates, cauliflower is nonetheless a bountiful vessel for all kinds of phytonutrients. 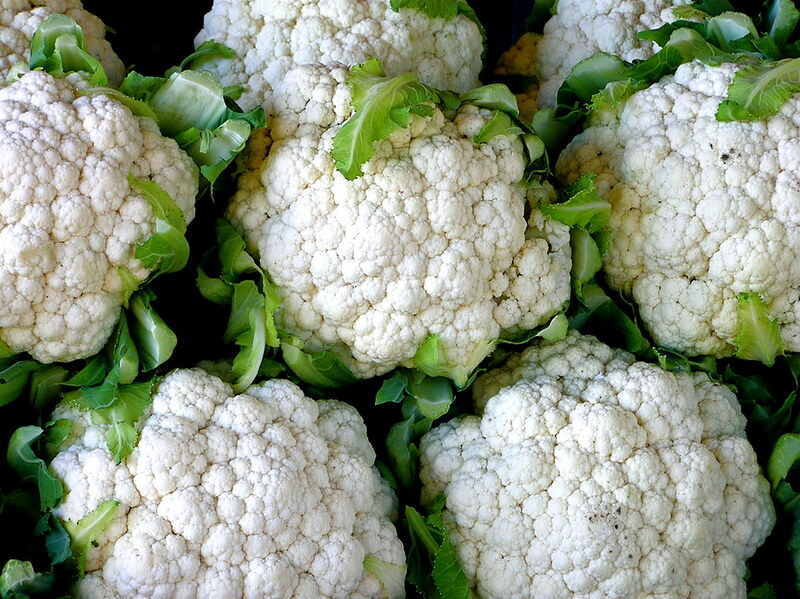 The glucosinulates contained in cauliflower aid in reducing inflammation, improving digestion and boosting immunity. Although a naked serving of steamed cauliflower might not tempt the palate, it is regularly sauteed in Asian marinades or served in combination with fennel. As one of the many ideal vegetables to grow in a greenhouse, cauliflower seedlings should be planted at a depth of four to six inches of container soil and organic matter. Make sure the greenhouse receives ample sunlight for most of the day. Water seedlings every day for the first week, followed by every four to five days thereafter. While the beta-carotenefound in carrots is along associated with good vision and ocular health, recent findings also link this nutrient to bone strength and density. Interestingly, carrot varieties are not restricted to orange hues, but sport white, yellow, red and purple peel as well. Carrots appear in all cuisines chopped, sliced, grated, glazed and pureed. They are also enjoyable by themselves. As one of the best vegetables to grow in a greenhouse, carrots nevertheless need special attention. Fortunately, indoor growers can control the soil mix, and should obtain (or treat) medium that is more alkaline than acidic. Although carrots can grow outside in winter, their seeds need relatively warm soil to germinate. Adjust greenhouse temperatures accordingly. 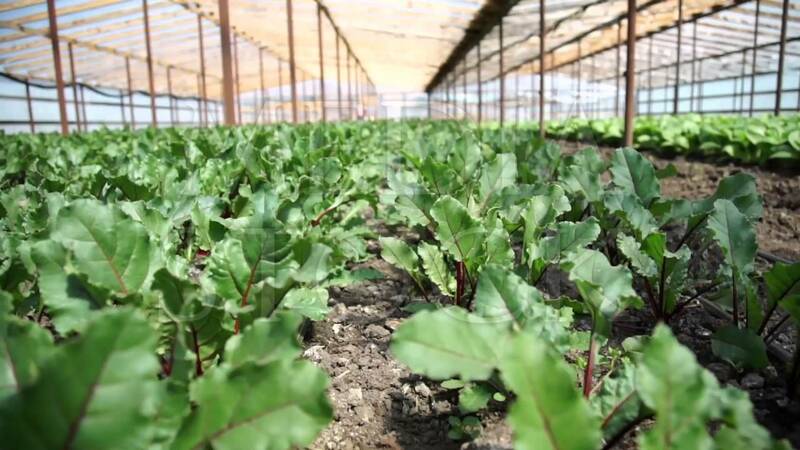 The rich, dark red color of beets indicates the presence of betalains. These pigments carry antioxidant, anti-inflammatory and detoxifying elements that counteract aging, illnesses and substances foreign to the body. Meanwhile, beets are delectable in borscht, salad dressings and marinades. The greens also serve as seasoning for cooked dishes. Beets are the ultimate winter vegetable, so keep the greenhouse on the low side. Seeds actually germinate at 41 degrees Fahrenheit. In addition, plant food need not contain that much nitrogen unless you grow them for the greens and not the root. One inch of water per week sufficiently hydrates these plants. Some people believe peas are all starch and no nutrition. In reality, peas promote vibrant health in many ways. For instance, one of its phytonutrients – coumestrol – demonstrates a strong capacity to fend off stomach cancer. Alpha-carotene, beta-carotene, Vitamins C. E and zinc all occupy the tiny pea. As food, these legumes are as ubiquitous as they are healthful. When raising them in a greenhouse, gardeners often erect a trellis for the extensive vines and branches. Like beets, cool temperatures are conducive to healthy peas. Enclosed spaces like greenhouses give gardeners greater mastery over their harvests. Timing, temperature and soil are variables the volatility of which are sharply reduced with an indoor conservatory. Best of all, growers can avail themselves of nutritious and delicious forage at any time of the year. As mentioned, many other vegetables achieve successful growth in greenhouses. The seven listed here, however, are noteworthy for their easy adaptation to life within the panels. Hey Buddy!, I found this information for you: "7 Best Vegetables to Grow in a Greenhouse". Here is the website link: https://backtofarm.com/best-vegetables-to-grow-in-a-greenhouse/. Thank you.